Self-promotion. It is something that we all have to do now and again, especially in the creative field to get your worked notice. Smile and bare it as promoting your own skills will have you pushed out of your comfort zone or sending mass emails, its not always a comfortable task. I decided to take a different root. With some downtime gave myself a design project. 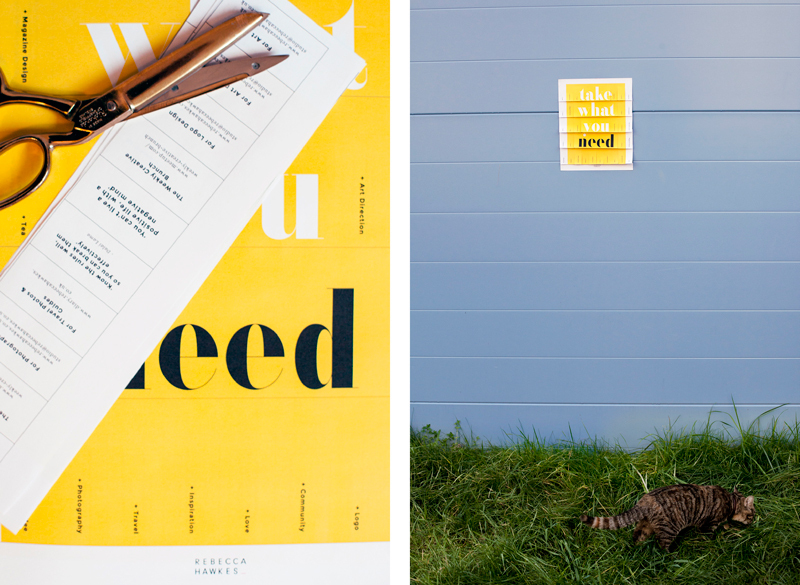 I didn’t want to create a poster that only appears as self-promotion.Instead I want to capture peoples attention and to ultimately help people find the skills they need. It is about the person who needs help and this message is far more inviting. In addition I wanted the poster to emphasis my typography skills, and create an innovative design that is clever and interactive, while keeping my own branding subtle. 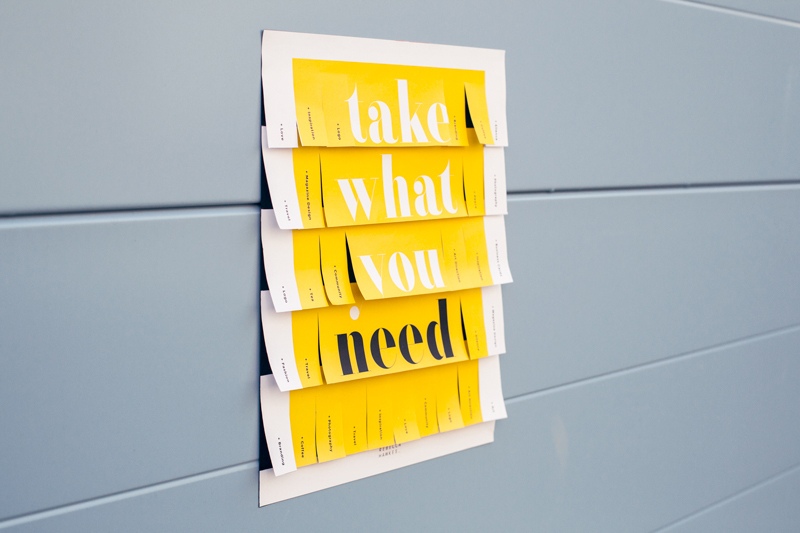 The poster is to be pulled apart and gradually be removed as each tag is pulled off until nothing is left but the text ‘take what you want’. Each tab has a message. 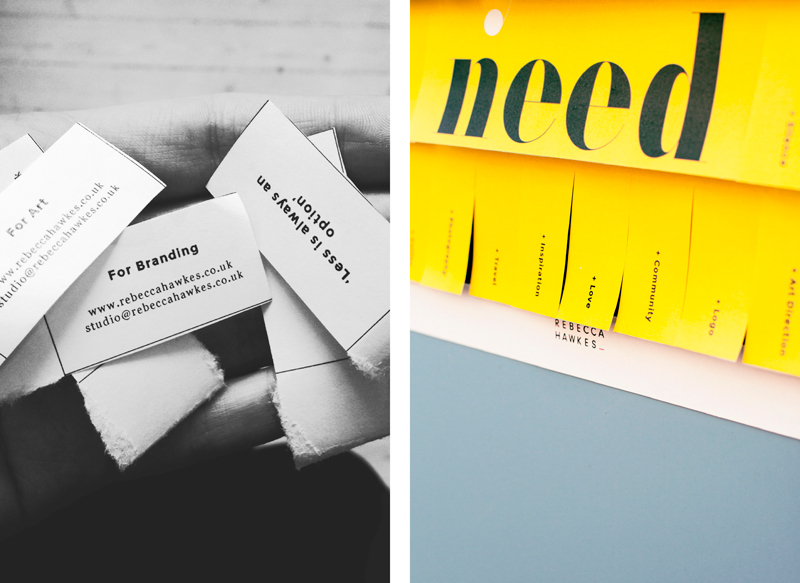 You can take a strip for ‘logo’ and the underside will have my website details. 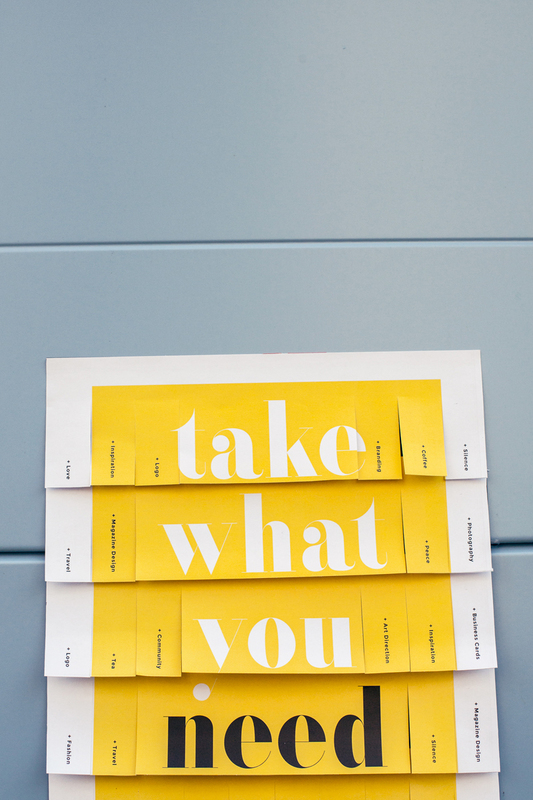 Or you could take the stip ‘Inspiration’ and be met with an inspirational quote on the back. 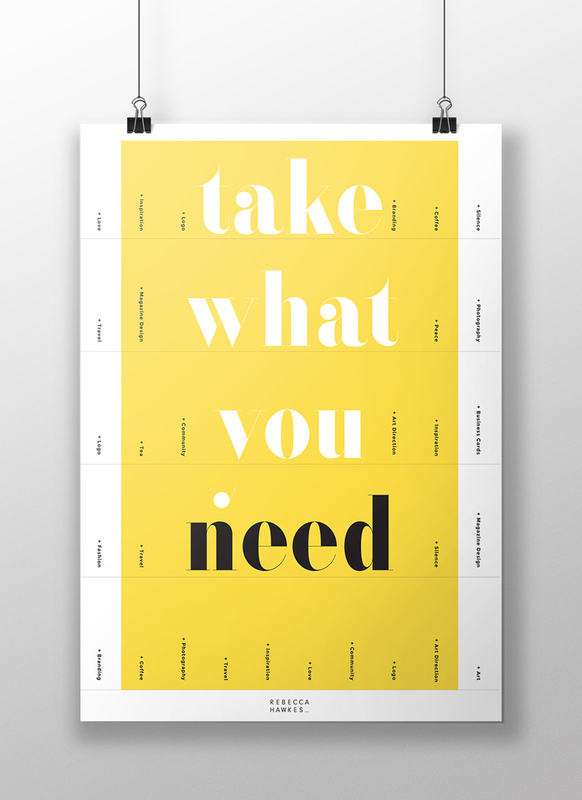 Take what you need posters are currently pinned up in cafés and workspaces in Oslo, let me know if you spot one!